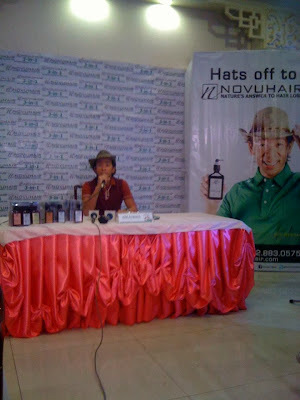 Kim Atienza has discovered yet another effective and all-natural remedy for hair loss. He endorses Nuvohair Topical Scalp Lotion after his careful research on its effectivity. Novuhair's natural ingredients such as virgin coconut oil, the essential oils of rosemary, lemongrass and peppermint, panax ginseng, and moringaoleifera, among others are combined to work in synergy against hair problems. Collectively, these ingredients help increase the flow of nutrients to the scalp. It nourishes it, and helps prevent excessive hair loss problems. Nuvohair Topical Scalp Lotion remedies these conditions for those suffering or experiencing hair troubles. It has been proven to delay of hair graying while it maintains the hair’s natural luster. 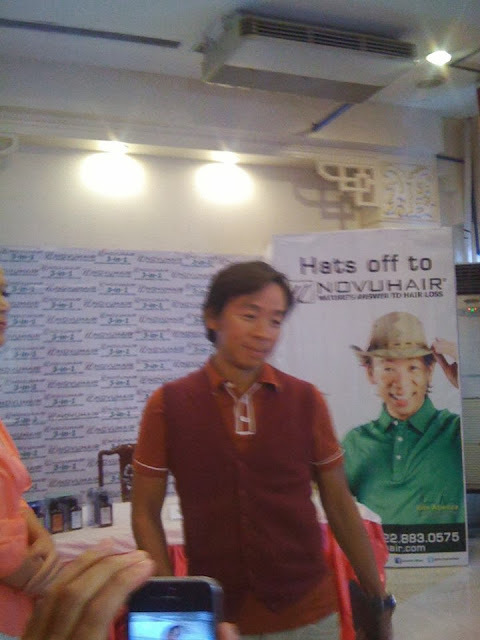 Kuya Kim believes that caring for one’s scalp is no different from caring for the body. People should be mindful about what they use to on their heads. Novuhair Topical Scalp Lotion can be purchased individually or as part of a combo pack that includes a bottle of Novuhair Herbal Shampoo or in a 3-in-1 pack that includes the herbal shampoo and a bottle of Novuhair Herbal Conditioner.